The other day we went over some plugins for upgrading your author bio boxes. Today we’ve got a few plugins that will let you show all your authors (or only some) together on an Authors’ Page. If you add a new author to your site, no sweat – these plugin will automatically add them to your Authors’ Page. The Author Avatars List plug works by inserting shortcodes or by using a widget in a sidebar. Here are a few things you can do with the plugin. Here’s a look at a simple page with all authors showing. This is a look at the widget in action. You can also control much more than you ever imagined in the widget settings. 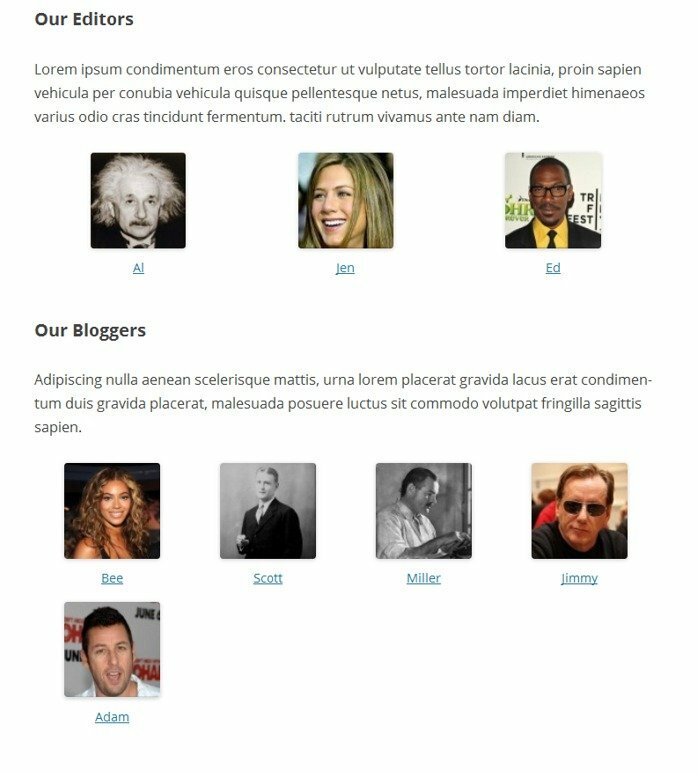 The Authors Page plugin is a simple plugin that requires only inserting a shortcode into a Page. You can call in all the authors on a site, or you can bring in authors according to their roles, for example ,only calling in the Editors. Of course you could call in differ users in different places, for example, having an Editors section at the top of the page and a Contributors section down below. Here’s a look at an example with all the authors called in. Here’s an example of how you might call in users by their different user roles. Both of these plugins are easy to implement and are especially convenient if you have a number of authors to feature on your site.